Point Me To The Nearest Convent/Bull House | how's it going, eh? I had multiple thoughts today of becoming a nun. Or a Franciscan monk. Can a female become a monk? These are questions that wandered through my mind today. Lucky nuns. They don’t have to deal with worldly possessions. Nuns can separate themselves from clutter, material things + wanting to throw something heavy at their husbands. As a nun, I would be at peace, my friends. Today Jeff + I packed out of his brother’s loft entirely, save for a couple odds + ends. With as much things stuffed in every nook + cranny, you would have thought that Jeff had lived there for over a year. Oh no, try 2 months! Yo, if I lived somewhere for only 2 months, I’d be living out of a duffel bag!!!!!!!! 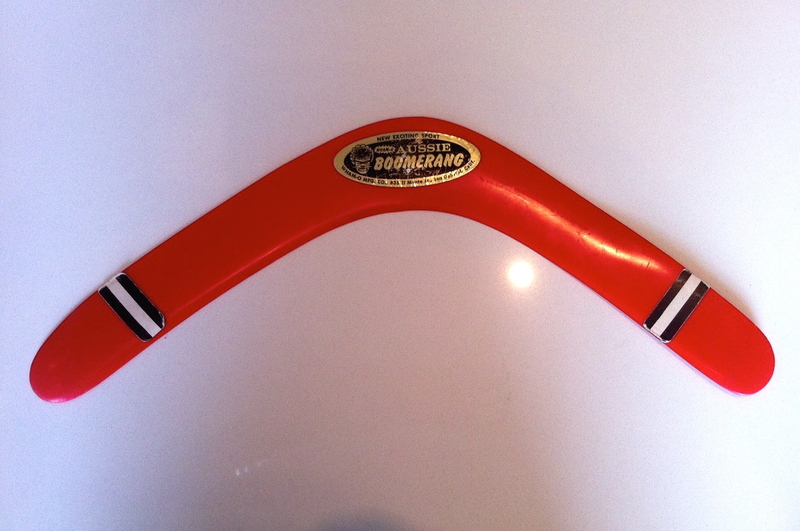 I mean, everyone’s got to have a circa 1965 Aussie Boomerang, right? What?! You don’t!? Well, certainly you must feel an emptiness in your soul!!! Anybody who’s anybody has a plastic boomerang in their rooms. Duh!!! Anyways, we were jamming so fast with packing all his crap out of there, that I forgot to take pictures of the chaos. Lucky Jeff. 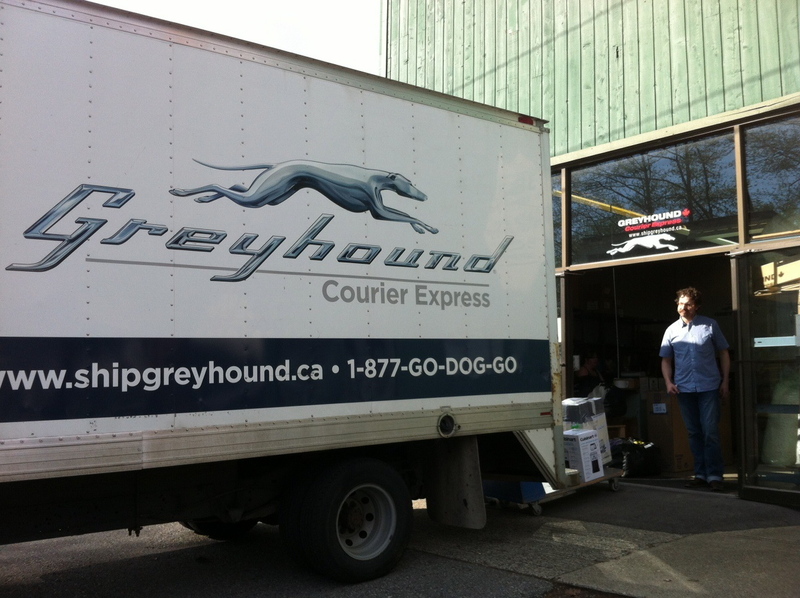 Then a mad dash to Greyhound 10 minutes before closing to ship off some bulky items. Take it all away, Greyhound. Take it all you beautiful pedigree! 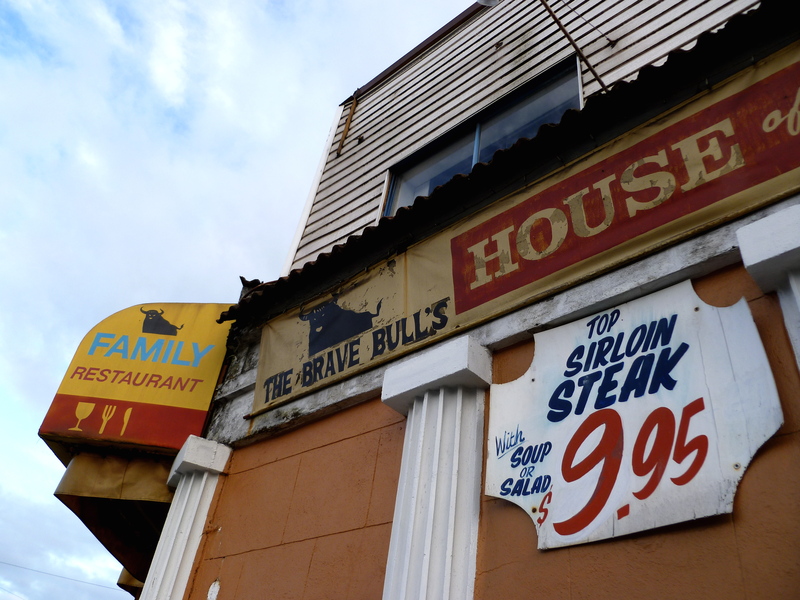 The only shining glimmer of a moment in my day was The Brave Bull’s House of Steaks. We had to drop off keys to the loft + Jeff freaked out when we were driving past it + he saw an “Open” sign out front. 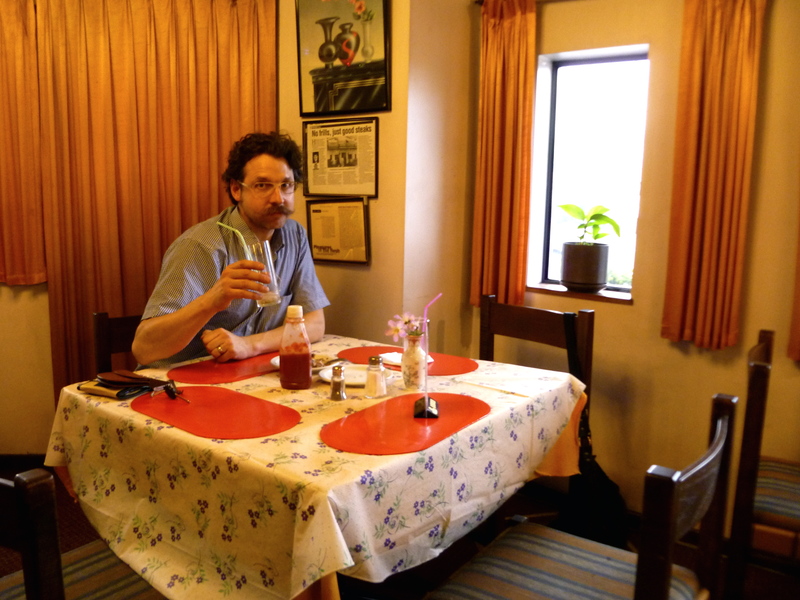 Apparently this restaurant had been closed for awhile + had just reopened. 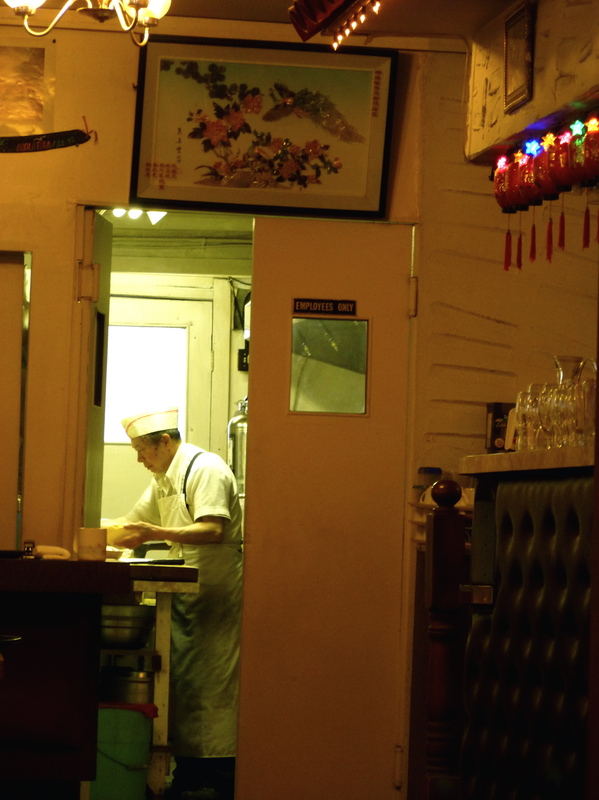 The facade of the restaurant looked sketch – perfect!!! Nothing could be more of an invitation to enter an establishment for Jeff + I than questionable seediness. The Bull is in the neighborhood of Strathcona which is supposedly a really squalid neighborhood. Pshaw!!! Considering I used to live 2 blocks from skid row in Los Angeles, it is Romper Room in comparison! 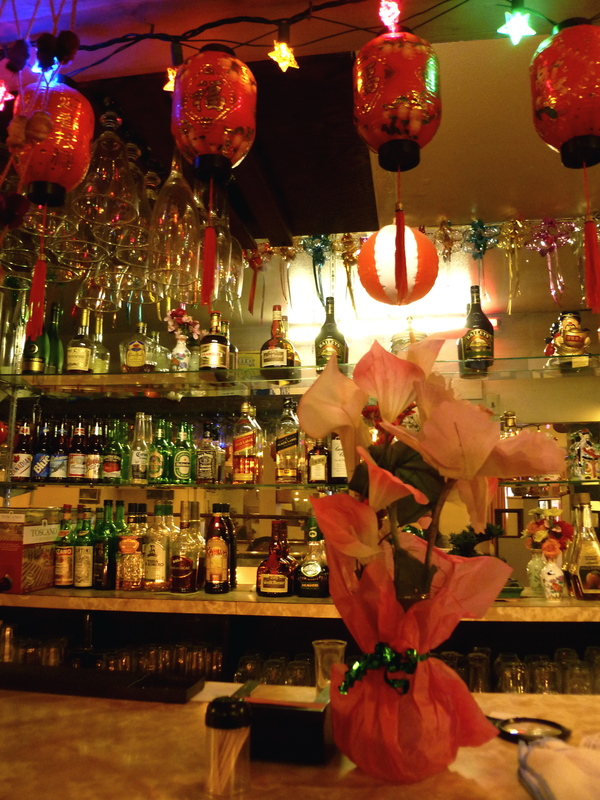 Admittedly, we didn’t know what to expect, but when we walked in it was like grandma’s warm cozy neighborhood restaurant!!! With wagon wheel chandeliers to boot! That is, if your grandma is in her late 70’s + is a sweet Chinese woman with a really thick accent. Linda is the hostess + waitress, while her husband Frank is the cook in back. We couldn’t stay to eat, but couldn’t resist stopping in, so we just ordered cocktails. I ordered a Caesar (Canadian version of a Bloody Mary) + Jeff ordered a Long Island Ice Tea. “Oooh! Long Island Ice Tea!” I said. Linda got really excited + advised, “Yes! You get Long Island Ice Tea! Change mind! Mo’ booze, mo’ better!!!”. Um, can I live at the Brave Bull??? A woman after my own heart. Our drinks came, Jeff got a green straw + mine was pink. I mentioned how I liked my pink straw + Linda, who was extremely delighted said, “I pick special for you!!!”. Looooove!!!! 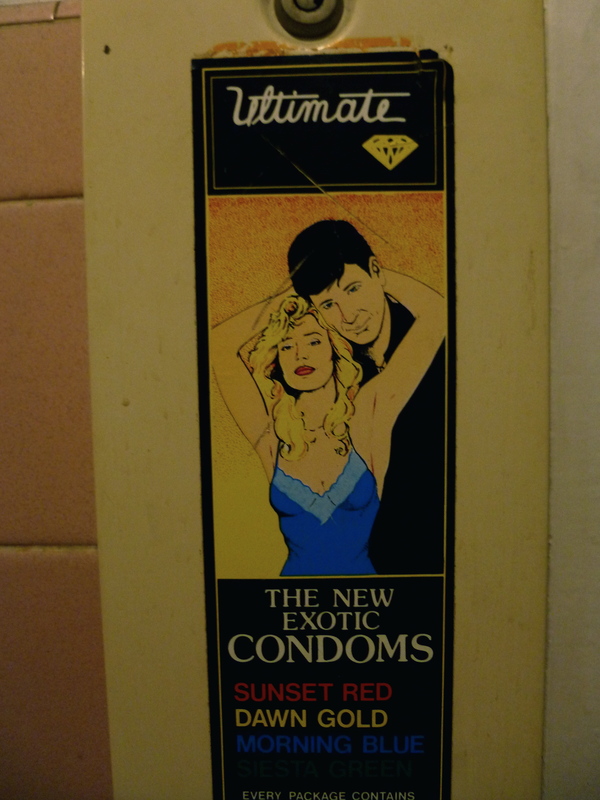 Jeff got a picture in the men’s bathroom of this condom dispenser. Bwa-haha-haa!!! Vintage!!! Nothing in this place is post 1987. Even the prices! Bomb! 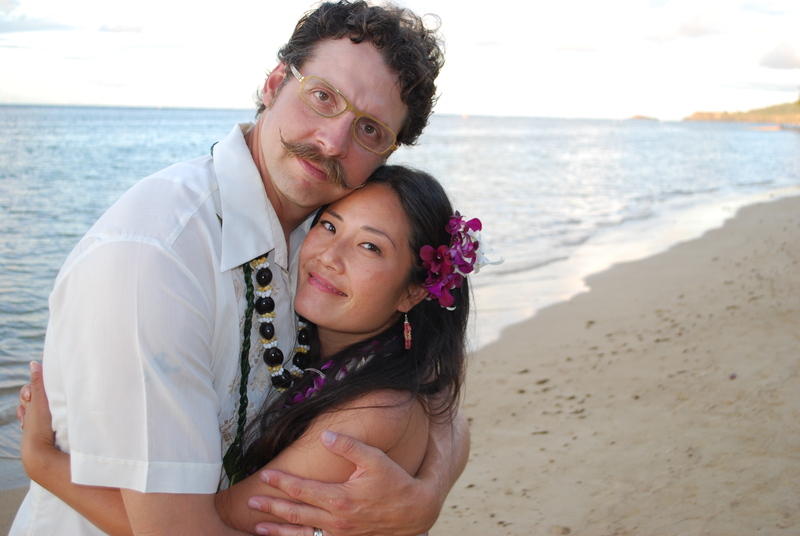 If we had more time, we’d idle our time away with Linda + Frank. Such a hardworking + admirable couple, I wish they could retire to rest their tired bones. When we’re back in Vancouver, we are heading straight to the Bull House to savor their famous juicy steaks! An hour after, more frowns from me as I helped Jeff sort through his things at Tom + Deb’s. We’re so lucky to have a landing strip like Tom + Deb’s garage to unload all of Jeff’s mountains of stuff – it’d be close to impossible otherwise. For the most part, I drifted off, fantasizing again about the benefits of joining a convent. It’s late + in the AM we depart for Alberta. Sayonara, over + out. Nanook, take some more on ur trip,…EAST!!!!! 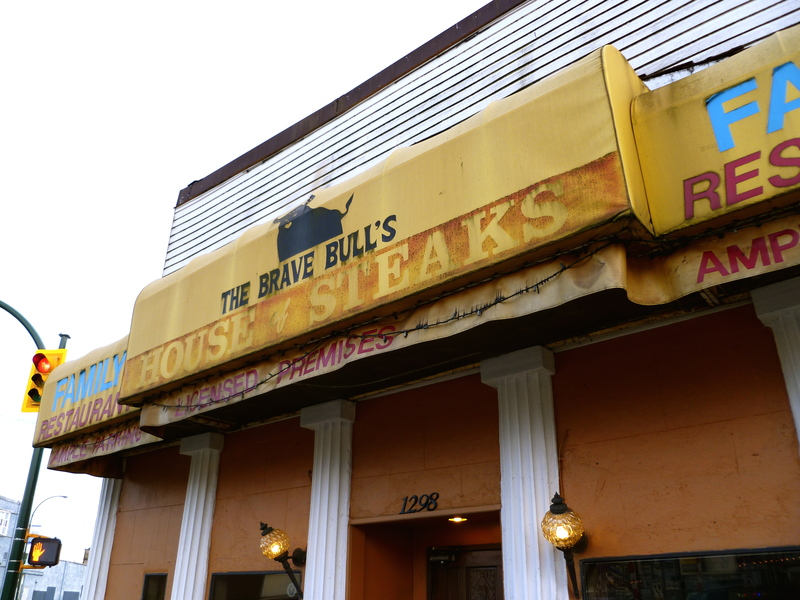 **NEWS FLASH ** BRAVE BULL’S HOUSE OF STEAK OWNERS ARE RETIRING. 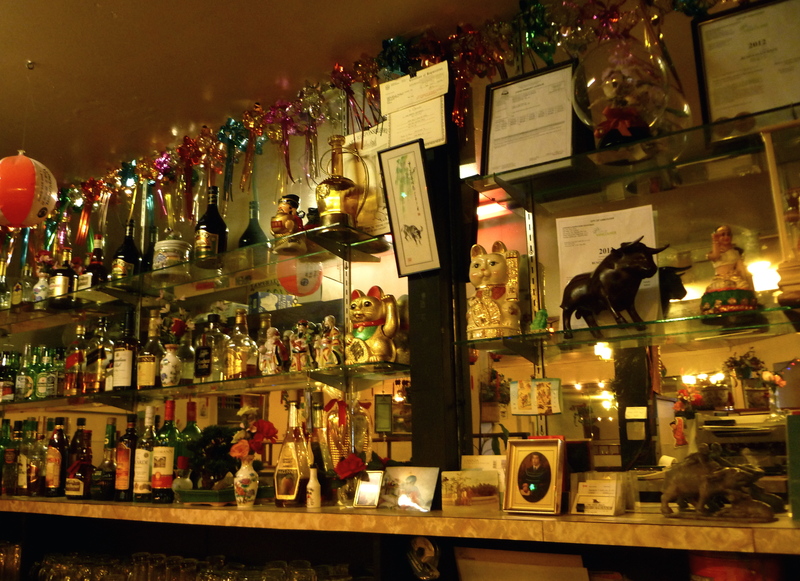 This East Vancouver institution is closing its doors forever . Linda and Frank are finally RETIRING AFTER 24 YEARS!! Last day for restaurant business is Sunday, September 2, 2012. SALE STARTS MONDAY – LABOUR DAY SEPT. 3, 2012 — 12:00 NOON to 5:00 PM – SELLING RESTAURANT EQUIPMENT , SUPPLIES, tables, chairs, decorations, utensils, glasses, cups, plates, freezers, AND MORE . Come and check it out. VISIT THEM & TAKE HOME A PIECE OF BRAVE BULL MEMORABILIA !! CASH & CARRY ONLY. or JUST DROP BY AND WISH Frank & Linda luck in their GOLDEN YEARS!! They would LOVE TO SEE YOU, TOO. I AM SO THERE ON LABOR DAY!!!!!!! 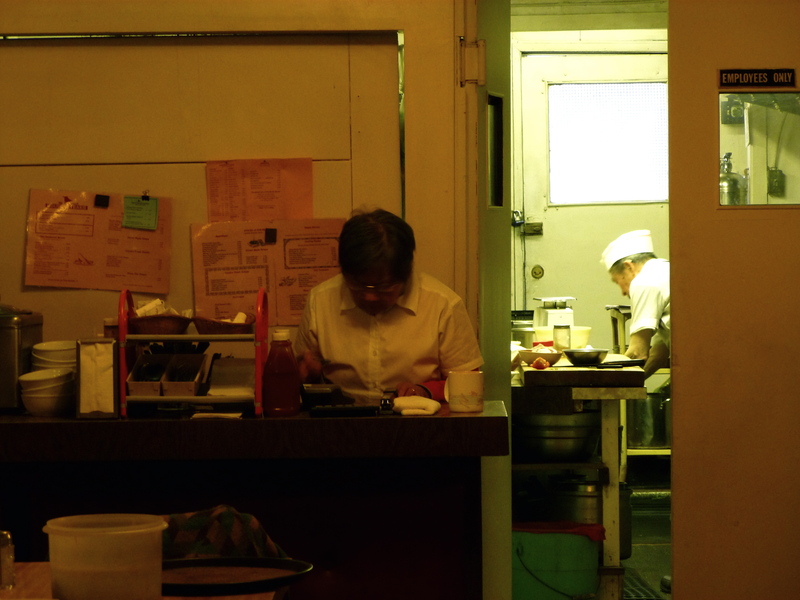 Very sad I won’t be able to have a final dinner there, but so happy that Frank + Linda are moving onto their golden years! They deserve it!!! 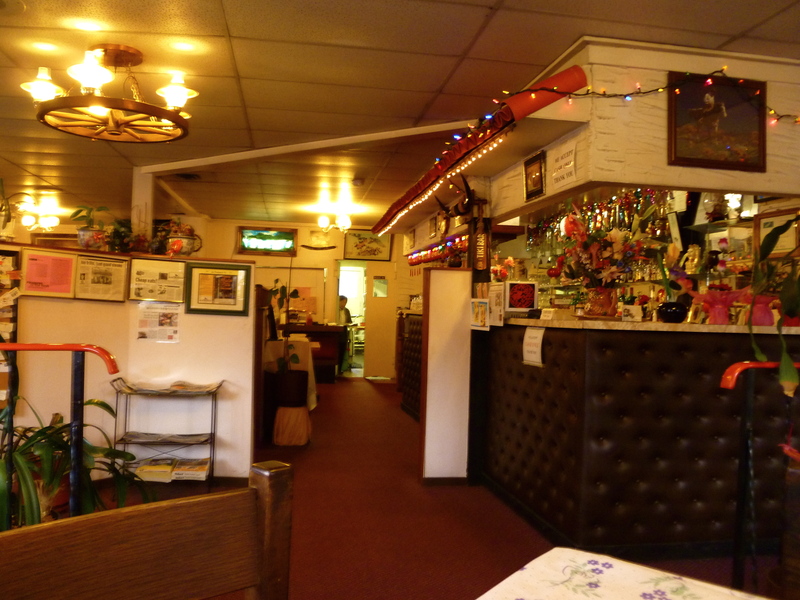 Lynnwood Inn Closed for Business | how's it going, eh?